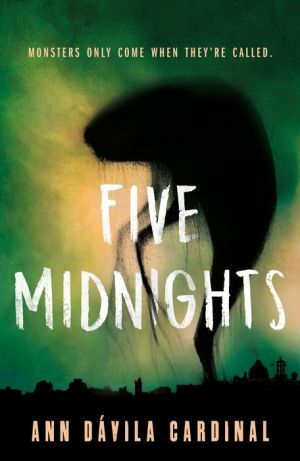 Ann Dávila Cardinal's Five Midnights is a “wickedly thrilling” (William Alexander) and “flat-out unputdownable” (Paul Tremblay) novel based on the el Cuco myth set against the backdrop of modern day Puerto Rico. Five friends cursed. Five deadly fates. Five nights of retribución. If Lupe Dávila and Javier Utierre can survive each other’s company, together they can solve a series of grisly murders sweeping though Puerto Rico. But the clues lead them out of the real world and into the realm of myths and legends. And if they want to catch the killer, they'll have to step into the shadows to see what's lurking there―murderer, or monster?